If you’re shopping for a used Subaru, you may not think to check your local Acura dealer. However, we’re a reliable source for used vehicles from all makes — not just Acura. Below, you’ll find 4 used Subaru vehicles for sale right here in Boulder! You can find a like-new Subaru with desirable features like leather seats, cruise control, alloy wheels, and more. Explore your options below, then contact us to schedule a test drive near Golden and Arvada! REDUCED FROM $21,900!, EPA 33 MPG Hwy/25 MPG City! CARFAX 1-Owner, Excellent Condition. Carbide Gray Metallic exterior and Slate Black interior. Heated Seats, All Wheel Drive, Alloy Wheels, Non-Smoker vehicle, Local Trade. SEE MORE! KEY FEATURES INCLUDE . Rear Spoiler, MP3 Player, Aluminum Wheels, Keyless Entry, Remote Trunk Release. Subaru 2.5i Premium with Carbide Gray Metallic exterior and Slate Black interior features a 4 Cylinder Engine with 175 HP at 5800 RPM*. EXPERTS RAVE Edmunds.com's review says . the Outback boasts 8.7 inches of ground clearance, more than many truck-based SUVs. Combine that with the Outback's roomy seating, generous cargo bay and relatively low load-height roof and you've got an ideal family outdoor recreational vehicle.. Great Gas Mileage: 33 MPG Hwy. PRICED TO MOVE Reduced from $21,900. OUR OFFERINGS Fisher Auto of Boulder serves the greater Denver area including Longmont, Broomfield, Lafayette, Louisville, Erie, Westminster, Thornton and Brighton. Stop in today or call 303-245-6406 to speak with a brand specialist. THE INFORMATION INCLUDED ON THIS WEBSITE DOES NOT CONSTITUTE AN OFFER TO SELL. THE INFORMATION MIGHT BE INCORRECT AND THE DEALERSHIP IS NOT LIABLE FOR ANY ERRORS. Accessories and color may vary. Why Buy a Used Subaru Vehicle for Sale at Your Local Acura Dealer? 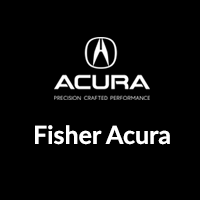 Fisher Acura offers one of the largest selections of used cars near Thornton, CO! When you buy from us instead of a private seller, you can feel confident you’re getting a high-quality used vehicle, as well as workable financing options. We’re always offering pre-owned vehicle specials, so Boulder drivers can find the Subaru Outback 2.5i or Subaru Legacy 2.5i Premium at affordable rates. Looking for a more affordable option? Check out our selection of used cars under $10K!